Another great new recipe to add to your grilling menu as we head towards summertime! This chicken was AMAZING! Very full of flavor and we all enjoyed it. It was super simple to mix up the marinade and I used the thin chicken breasts which cooked up fast on the grill! One of the best parts about grilling chicken – it’s a low carb meal with left overs for salad the next day! 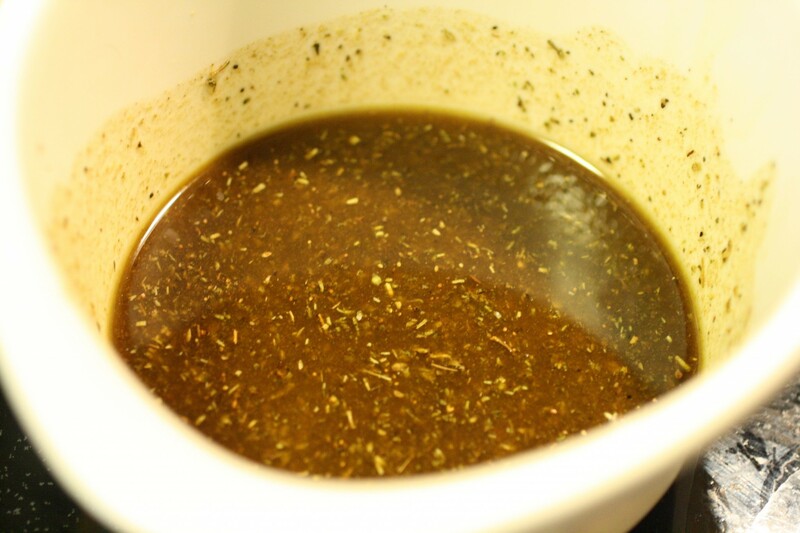 I started out by combining all the ingredients for the marinade in a bowl and then poured that into a ziploc back with my chicken breasts. I let that sit in the refrigerator for about an hour and a half. 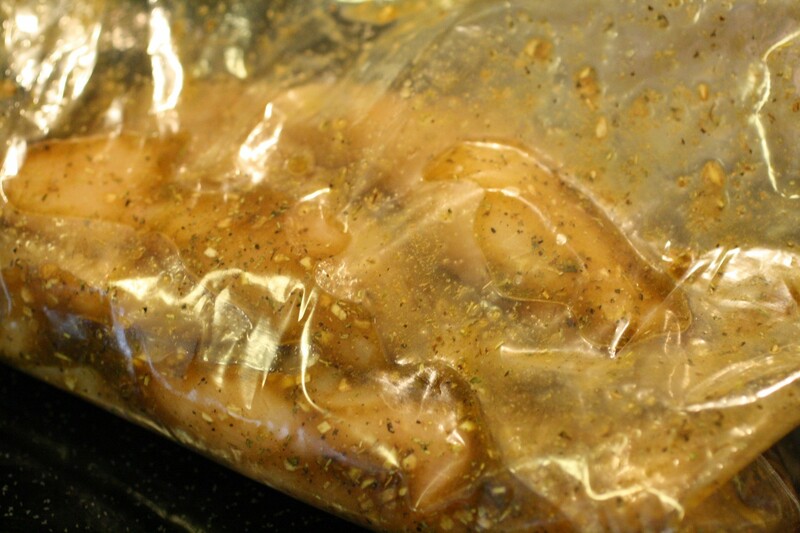 You want to allow for at least 30 minutes for the chicken to soak up that marinade. Heat your grill up and spray the grates with non-stick cooking spray to keep the chicken from sticking. Since these were super thin chicken breasts, I cooked them about 3 minutes on each side and they were done to perfection! For thicker chicken breasts, I would start with 5 to 6 minutes and then flip and if necessary, turn the heat down on the grill and move the chicken to the higher rack to prevent it from burning, yet it will continue to cook through. For instructions, head over to the original recipe which is on SparkRecipes here: Grilled Balsamic Chicken. *In the original listing of ingredients on Spark, their is water listed as an ingredient, but the directions never mention it. I omitted it from the recipe.